Happy New Year, members of the North Star Chapter! While the holiday season is the unofficial “most wonderful time of the year,” there is a lot to love about the quiet and peacefulness of January in Minnesota. Life just seems to slow down, allowing us to catch our breath, look back on last year, and make plans for the coming year. I wanted to use this message to highlight the successes of last year and set the stage for 2019. Our Education Committee, chaired by Brett Hall, MAI, SRA, continues to expand our offerings to chapter members. In 2018, we had courses in the Twin Cities and Duluth, and we plan to continue our outreach in the underserved outstate areas. 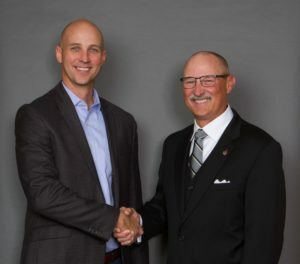 Brett and his committee have fostered a relationship with the Minnesota Association of Assessing Officers (MAAO), and the North Star Chapter is now the education provider for their Basic Appraisal Principles and Procedures courses. The Chapter is also providing USPAP instruction at the MnDOT Right of Way conference in the fall. Check out our full schedule of upcoming courses in 2019! Our Scholarship Committee, chaired by Michelle Koeller, MAI, awarded the first Kurt Ophus Scholarship to Andrew Totzke at the November Chapter Meeting. The committee also created a new scholarship opportunity for Practicing Affiliates that will provide opportunities for newer people to the field. In 2019, the committee will be awarding three scholarships: the Kurt Ophus Scholarship, the Practicing Affiliate Scholarship, and the Tom Turner Grant. Check out the Chapter Scholarships page for more information! Also, please be aware that the national Appraisal Institute Education & Relief Foundation offers a variety of scholarships to advance the industry. Our Programs Committee delivered the 20th Annual Real Estate Trends Seminar in 2018, and chapter members attended four chapter meetings with CE credits offered at three of them. The committee has a great lineup for 2019 started, with a chapter meeting scheduled for February 22, featuring an update on the Twin Cities multifamily market from Tom O’Neill and Marsha Goff, MAI. The 21st Annual Real Estate Trends Seminar is scheduled for June 6, and we are looking for volunteers to help plan it. Please contact Chapter Vice President Byron Miller, SRA, AI-RRS, if you are interested in helping. The committee is also planning an outstate chapter meeting in Detroit Lakes in late summer/early fall – stay tuned! The Government Relations Committee (GRC), chaired by Bryon Miller, SRA, AI-RRS, had another active year representing us appraisers. The GRC organized a Legislative Day at the Capitol that brought about 30 chapter members to the Minnesota State Capitol in St. Paul to advocate for appraisal issues to our representatives. They are planning the 2nd annual event this year and will focus on cleaning up the language in MN Statute 82B, which governs appraisal licensing regulations. I am excited to announce our Candidate Guidance Committee has been injected with some new blood! Tim Klein, MAI, and Jake Scheeler, MAI, have stepped up to co-chair this committee. Providing direction to Candidates for Designation is so important to our chapter. Tim and Jake have been recently designated themselves and have some great ideas to increase engagement with our Candidates. Keep an eye out for more info on a happy hour for Candidates in the spring! We accomplished so much in 2018 and I am really excited to build on that momentum in order to promote the value of the AI designations and offer education, networking, and social opportunities to our members. As a volunteer-driven organization, I am asking for your help to move this mission forward. The good news is we have a great staff that does a lot of the work for us volunteers. What we need from you is your fresh ideas and passion for the industry! Please contact me directly if you are interested in giving back to the chapter in any way. Also, we always want to know what we can improve on, so please don’t hesitate to contact me with your ideas. Cheers to 2019!